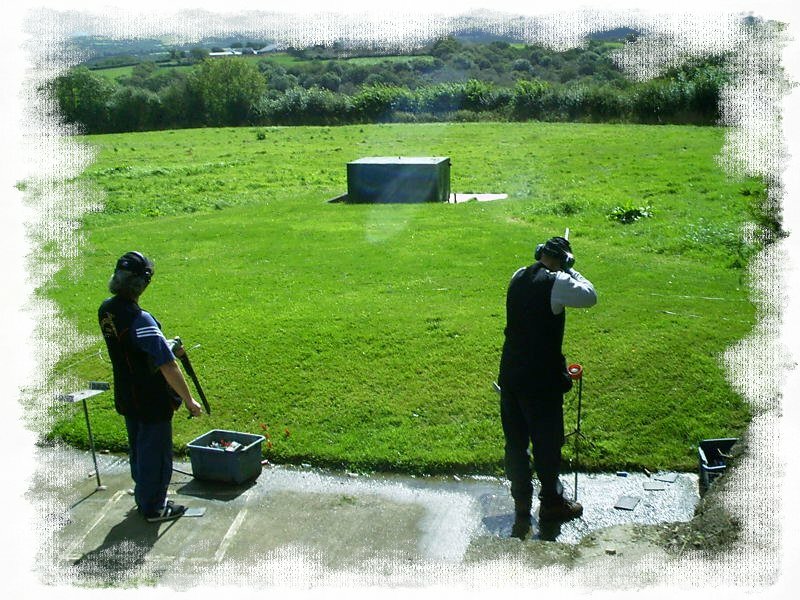 Bradford shooting ground is set in the heart of Devon amidst beautiful un spoilt countryside, just 15 miles inland from Bude on the North Coast, offering clay target shooting for both novice and experienced shooters. Bookings can be taken by the hour or by the day and we are open to individuals, private parties, stag or hen parties and corporate days. 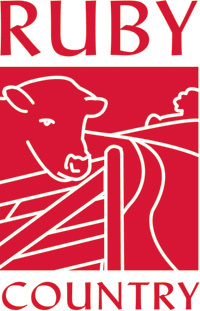 We are a well-established ground and have been C.P.S.A registered for over 20 years. 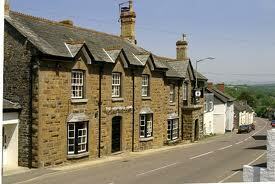 Owned and run by Matthew, Dee and Hester Gill, we offer personal service in a relaxed and friendly environment. Devon and Cornwall present outstanding opportunities for sporting shooting in the UK. The high pheasants over our steep valleys are world-famous, and we can arrange driven days to suit all tastes. Driven snipe are a house speciality, and we can offer mixed rough shooting or evening duck flighting. Superb deer stalking is available, offering a chance of something equivalent to a Highland Macnab, with early October salmon, red stags and duck, pheasant or pigeon. For those with adequate adrenalin, high summer dawn or dusk roe bucks, with the option of night fishing for sea trout, provides possibly the most exciting sport in these islands. A true country sports hotel, we offer a wide variety of pursuits for the experienced gun or for those looking to learn something new. We work closely with some of the finest driven shoots on estates in the local area and with professional stalkers, guides and instructor. The hotel caters for all your sporting needs and will organise every aspect of your trip, leaving you to enjoy the experience of the wild Westcountry. We are able to accomodate shooting parties and to organise shooting too. We specialise particularly in small, wild shoots including walked up and driven Snipe, Woodcock and wild Duck. 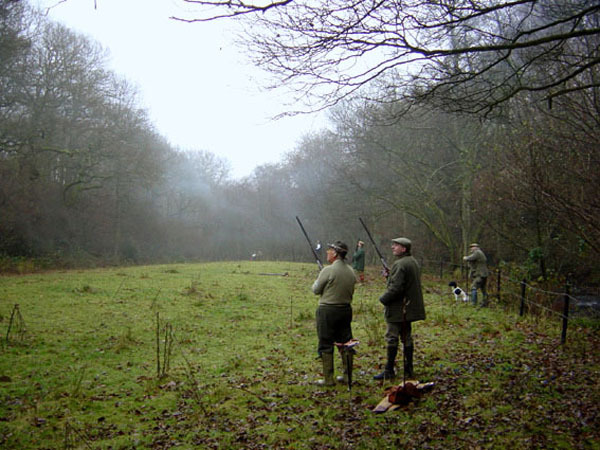 Driven Pheasant and Partridge shooting can also be arranged. Shooting normally requires substantial notice to organise properly. We are also able to organise stalking for Roe, Red and Fallow with prior notice. The Devon and Cornwall borders offer some of the best shooting in the south west and The Bickford Arms can arrange shooting packages tailored for individual parties. We make all the arrangements and work hard to ensure the day runs smoothly for you. 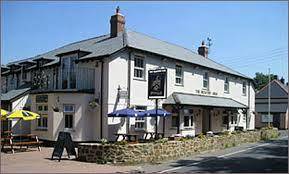 Retiring to the pub in the evening you will find comfortable rooms with masses of hot water for that welcome bath and then down to our well stocked bar to relive the tales and highlights of day. Enjoy a first class meal prepared by our chef who will use only the best of local produce. There is an abundance of deer in the area surrounding the Bickford Arms. 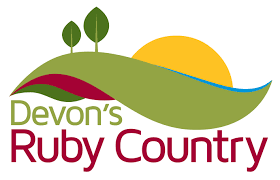 Working together with Devon Deer Services we are able to arrange to take people out for Row and Red deer hunting. This will take the form of stalks and/or the use of high seats depending on conditions and ability. Hunters of all levels of experience can be catered for. No previous experience is necessary, as all guests will be accompanied on a 1 to 1 basis. Hunters must provide their own Public Liability Insurance.